Know a photographer that would love one of these custom products, but not sure if they have a 600mm f2.8 or a 14mm fisheye? Not a problem - just purchase a gift certificate to our store, and they can get it right. Gift Certificate is good for any product in our store. We will instantly email the person you specify a gift email that will have a special code they can use immediately towards a purchase. If they don't use the whole amount, the balance will be available for their next purchase! We will also send you a copy of the code, in case they miss the gift email. 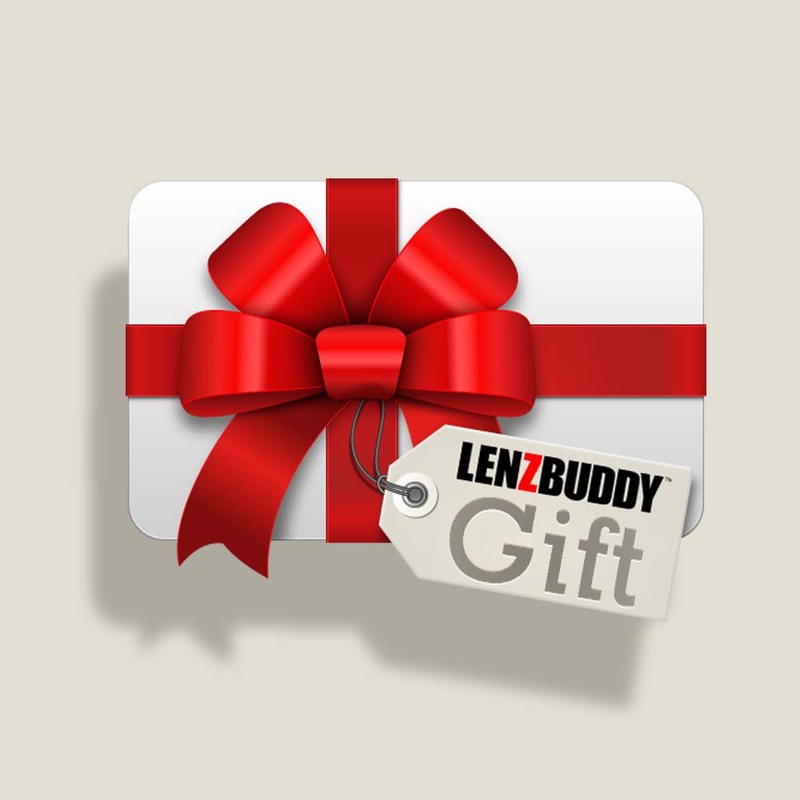 If you do not want to send them the coupon code automatically from LenzBuddy™, please put YOUR email in the "Recipient's Email Address" field on the gift certificate product page. You can then send them the code at your discretion. Please contact us with any questions or issues! Please Note: Gift Certificates cannot be purchased with a discount promotion.